Can't say anything about anything atm, suffice to say, I already said too much, in a recent post, when I didn't realise saying anything at all was unwise. I have not removed the post, but DO NOT please promote ANY posts from the private web at the moment; hopefully a short measure, not long. Will advise, when able, about what I am referring to ... and why, if I can, I couldn't say anything at all, about anything at all. Meantime ... this, MIGHT pertain, to the matter, to which I cannot refer, at the moment, and I cannnot say which it MIGHT, even ... please DO NOT PROMOTE ANY POSTS for the time being, LIVES may be at stake, and without having any details, I must assume, that might be MANY lives ... LOTS unclear atm, but I was given a very VERY clear instruction NOT to draw attention to something, so I CANNOT; don't you either, trusting every reader of this page, implicitly. 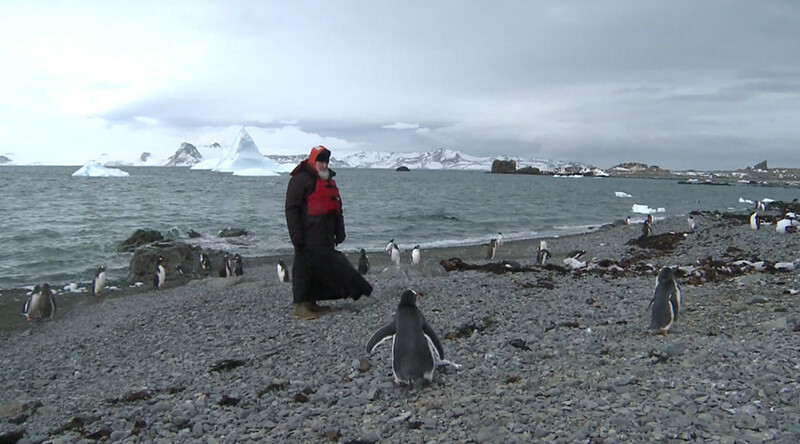 In what we can only conclude is one of the most bizarre reports ever circulated in the Kremlin, the Ministry of Defense (MoD) is reporting today that the global leader of the Russian Orthodox Church,Patriarch Kirill of Moscow, arrived in Antarctica earlier today where he joined up with the vast Federation naval armada transporting from Saudi Arabia the mysterious “Ark of Gabriel”, entrusted to Russia’s care by the Custodian of the Two Holy Mosques, and performed an “ancient ritual” over it read from a “secret text” given to him by Pope Francis just days prior in Cuba when these leaders of Christianities two top sects met for the first time in nearly 1,000 years. According to this MoD report, and which we had previously reported on in our 6 December 2015 report Russia Begins Transport Of Saudi Arabia’s Mysterious “Ark of Gabriel” To Antarctica, the mysterious “Ark of Gabriel” was first discovered in Mecca on 12 September 2015 by a construction crew tunneling under the Masjid al-Haram Mosque (Grand Mosque) and who, when attempting to unearth it, were all killed by a massive “plasma emission” that killed a further 107. 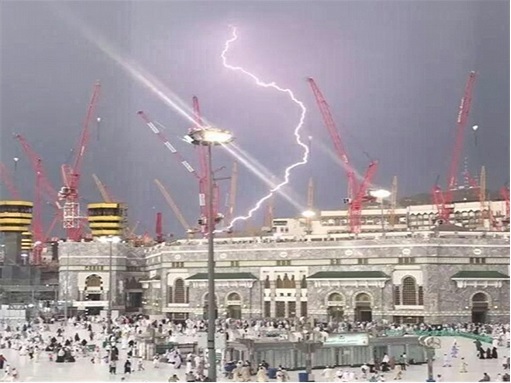 Even worse, this report continues, on 24 September 2015, during a second attempt to unearth the mysterious “Ark of Gabriel”, another massive “plasma emission” killed an estimated 4,000 more people—but which Saudi officials blamed on a stampede. “After the catastrophic death toll involved with the Saudi’s second attempt to remove this mysterious “device/weapon”, His Holiness Patriarch Kirill was then contacted by the Grand Mosque emissaries in regards to one of the oldest Islamic manuscripts possessed by the Russian Orthodox Church that was saved from the Roman Catholic Crusaders in 1204 when they sacked the Church of Holy Wisdom (now known as Hagia Sophia) in Constantinople (present day Istanbul, Turkey) titled “Gabriel’s Instructions To Muhammad”. 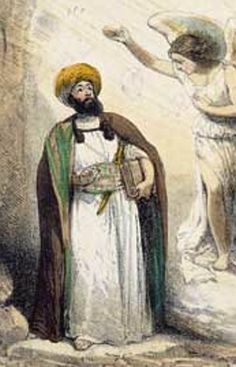 Important to note, and virtually unknown in the West, were that the Roman Catholic Crusades (and like they mirror today) were not only against the peoples of Islamic faith, but also against those having Russian Orthodox faith too—and why, during these crusades, the Russian Orthodox Church not only protected their own religious libraries from being destroyed, but also those belonging to Muslims. As to the contents of this ancient Islamic manuscript, “Gabriel’s Instructions To Muhammad”, it centers around a group of instructions given to Muhammad by the Angel Gabriel in a cave called Hira, located on the mountain called Jabal an-Nour, near Mecca, wherein this heavenly being entrusted into Muhammad’s care a “box/ark” of “immense power” he was forbidden to use as it belonged to God only and was, instead, to be buried in a shrine at the “place of worship the Angels used before the creation of man” until its future uncovering in the days of Yawm al-Qīyāmah, or Qiyâmah, which means literally “Day of the Resurrection”. 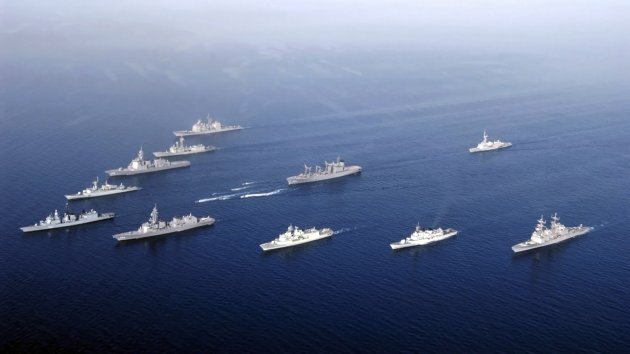 On 6 December 2015, this report notes, Federation naval research vessel Admiral Vladimisky departed the Saudi Arabian Port of Jeddah with the “Ark of Gabriel” bound for Antarctica accompanied by a vast naval armada ordered for its protection by President Putin and that (strangely) also included capsules with Russian soil to be placed in the areas of military glory and burial sites of Russian sailors at selected ports of call along the long journey to the Southern Ocean. Upon his learning of the “grave and global implications” associated with this mysterious “Ark of Gabriel”, this report continues, Pope Francis contacted Patriarch Kirill requesting an “urgent and immediate” meeting while warning that “the end is near”—after which Patriarch Kirill agreed to meet the Roman Catholic Church leader in Cuba on 12 February, an historic meeting between these two leaders that had not taken place between these church’s leaders in nearly 1,000 years. 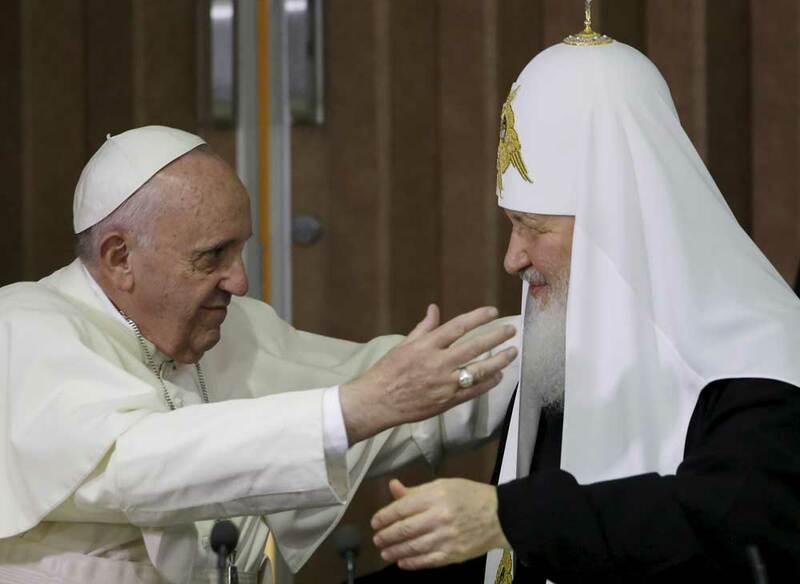 Though the exact nature of the talks between Patriarch Kirill and Pope Francis remain classified at much higher level then we’re granted access to, MoD analysts in this report do state that an “ancient secret manuscript” was given to Patriarch Kirill by Pope Francis that pertains to the “Ark of Gabriel” whose legend behind it claims it was written directly by the “watchers” (angels?) described in theBook of Enoch. 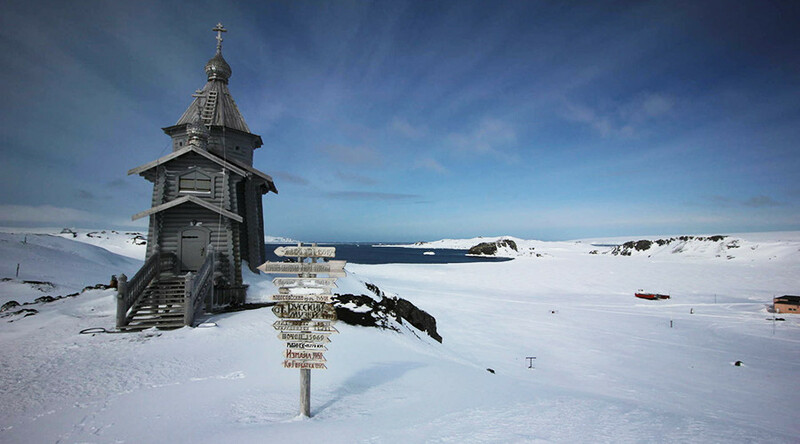 And just hours ago, this report concludes, Patriarch Kirill, while using this “secret text” given to him by Pope Francis, preformed an “ancient ritual” over the “Ark of Gabriel” in the Russian OrthodoxHoly Trinity Church (the only church in Antarctica) and where immediately thereafter this mysterious artifact was transported into the vast interior of this cold and foreboding continent by a highly specialized Spetsnaz (Special Forces) unit to a destination, and purpose, not identified by the MoD. February 18, 2016 © EU and US all rights reserved. Permission to use this report in its entirety is granted under the condition it is linked back to its original source at WhatDoesItMean.Com. Freebase content licensed under CC-BY and GFDL.